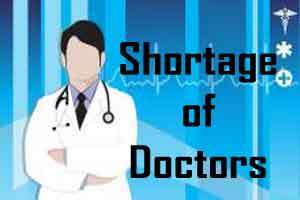 In India, there is one government doctor for every 10,189 people (the World Health Organization (WHO) recommends a ratio of 1:1,000) or a deficit of 600,000 doctors, and the nurse: patient ratio is 1:483, implying a shortage of two million nurses. Washington: India has a shortage of an estimated 600,000 doctors and 2 million nurses, say scientists who found that lack of staff who are properly trained in administering antibiotics is preventing patients from accessing life-saving drugs. Research and development for new antimicrobials, vaccines, and diagnostic tests has slowed since the 1960s as a profitable investment in this area is limited by low sales volumes, short duration of treatment, competition with established products and less expensive generics, and the possibility that resistance will rapidly emerge. It’s not about BSc versus GNM . It’s about poor salaries and even worse working environment . Many other issues such as lack of motivation , poor infrastructure , no continuing education , inadequate supervision . With such poor working conditions we are unable to attract youngsters to take up nursing . Many countries have made BSN a single entry point . Its true that we have shortage of nurses n doctors. But nursing shortage needs to be seriously looked into as Indian Nursing Council is planning to stop GNM course. It will provide only ANM and B.Sc nursing. This will further worsen the situation in India as BSc nursing can be pursued only by students from science stream with PCB after 12th whereas GNM was open for all categories of students. Hence many were opting for this course. But with this move further shortage of nurses will be there. very sad situation in India not only in shortage of doctors and nurses but also in poor infrastructure health centres.low GDP poor primary health care facilities are major set back.Quality health care is a dream. we have to learn from UK.